Home staging is an important step in preparing your property for sale. This final phase will enable you to dress up your home and present it in the best possible light. When staging your home, it’s essential that you look at it through your buyers’ eyes and create inviting, classic visual appeal with a timeless value. 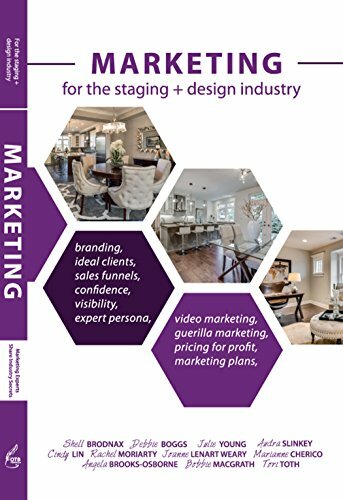 What all home staging pros know is that buyers are looking for neutral, but elegant designs with just a touch of personality. Home staging starts with decluttering and freeing your space from excess and personal items. This is one of the simplest and cost-effective ways to boost your home’s value, create an open and welcoming atmosphere and enable your prospective buyers to imagine themselves living in your home. You should remove your personal photographs, quirky decorations, and travel memorabilia because you need to create a universally appealing look that will charm your buyers. Make sure to keep your surfaces clear, bookshelves organized and counters stylishly decorated. You should always go with just a few impactful details rather than burying your home in clutter. Embellishing your windows with casual curtains and elegant drapes will help you create a specific effect in your home. For instance, you can use long, heavy drapes that puddle on the floor to give your living room or dining room a glamorous appeal. In the kitchen, you can create a casual atmosphere by using light, short curtains. If your home doesn’t get enough natural light, make sure to use light, gauzy drapes that will let sunlight permeate your space. Furthermore, you can use drapes and curtains to visually expand your windows. For instance, if you have narrow windows, you can place drapes on the sides, leaving the center bare, which will make your windows seem wider. Wall-to-wall carpeting has long gone out of style, especially if it’s hiding beautiful hardwood floors underneath. Area rugs, on the other hand, are chic accessories that can help you give your home a welcoming flair that your buyers will love. You can use rugs to create a layered, deep look, introduce different patterns and let texture come into focus. Furthermore, these accessories can also help you introduce a specific style and give your home an authentic character. For example, you can introduce a beautiful natural jute rug and give your space an organic touch. The subtlety and eco-friendliness of its design will certainly appeal to buyers. In addition, not only will it embellish your home, but it will also fill it with an atmosphere of tranquillity and serenity that buyers will love. Although you should aim for a universally appealing look, it doesn’t mean that you can’t give your home an authentic flair. However, instead of using personalized items and your own photographs, you can decorate your space with artwork. Paintings can elevate your home décor and even set the theme for an entire room. This way, you’ll be able to create visual interest in your space while enabling buyers to envision themselves living in your stylish home. Lighting is the key element that will help you create a warm, inviting ambiance in your home, accentuate its features and delight prospective buyers. Aside from maximizing natural light in your home for a beautiful, inspiring look, you should also layer the artificial lighting. Make sure that lighting fits the purpose of your every room, boosting its functionality and visual appeal. You can also use lighting fixtures as lovely embellishments and focal points, creating a wow effect. Mirrors are both functional and chic decorations that can help you open up your space. If your rooms are small or don’t get enough natural light, mirrors will help you visually expand them by reflecting sunlight. You can use them to elevate your décor, as well, experimenting with their frame styles, designs, and finishes. In addition, mirrors can be a beautiful replacement for artwork, introducing a touch of glamour to your space. Only when you thoroughly clean your home will all of the aforementioned tips truly style up your home. Otherwise, no matter how much you decorate and design your home, buyers won’t even notice it if your bathroom tiles are moldy or if your rugs are full of dirt. Thus, make sure to roll up your sleeves and start cleaning your home from top to bottom. Not only will this give it a pristine look, but it will also fill it with a fresh, clean scent. Staging your home properly will help you appeal to top buyers who will be delighted with your property. And with these expert tips, you’ll be able to do it like a pro.